The city was attacked by suicidal creatures resembling Chernovol-sized insects. 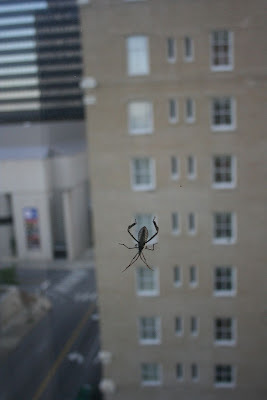 I caught a quick picture of this one as it jumped out of the window of a nearby hotel. I bet the person staying in that room didn't tip his housekeeper. Thankfully we all survived the onslaught...er.